Hi. This is my first meeting at Marketers Anonymous. My name is Albert. I’ve done marketing for years in a variety of industries. I have done graphic design, marketing strategy and implementation, and have done both B2B and B2C. I’ve developed a web site for a matchmaker and have designed marketing collateral for the consumer market. I’ve done all of this without having the faintest clue about why women buy what they buy at the prices at which they buy. I need help and I’m here to say that I’m ready, willing and able to accept it. I realized all of this after my Sephora post. I got some great feedback (mostly from women) who thought it was HILARIOUS that I was so freaked out/uncomfortable in that environment. I told a few guy friends about my experience and they responded words/phrases like, “brave”, “crazy” and “I can’t believe you’d actually go in there by way of anything but brute force”. It was also reinforced by a story that a friend told me — she LOVES Louis Vuitton and was SO excited to get a handwritten thank you note from her salesperson for buying a handbag. I couldn’t believe that a $3 card would help seal the deal on a $1,500 handbag. 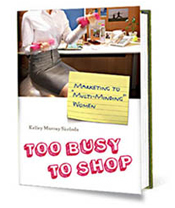 Women make around 60% of the purchasing decisions and I have so little insight into how they see the world. How can any marketer feel comfortable building a strategy when 60% of the market is a mystery? I ask myself things like: Why do women focus so much on the color pink? Why are women willing to endure waxing certain areas that, to me, would be worse than death itself? Why are some women excited about buying designer shoes at a store like Marshall’s while others would rather pay full price for the exact same item at the branded store? Why will some women eat from the McDonald’s Extra Value Menu to be able to afford a $300 bottle of custom perfume from Barneys in New York? As a part of my marketing class for my MBA, I’m required to write “learning journals”, which I’ve chosen to do as part of my blog. 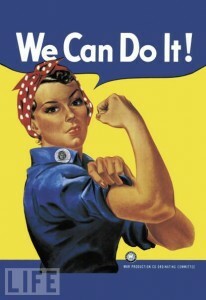 I’ve decided to use the rest of the class (through the end of July) to analyze women and the way companies successfully and unsuccessfully connect with them. My hope is that I come away from the project with a better understanding of what makes women tick (at least as consumers — in other contexts I’ve already conceded defeat). So, ladies, I’d love to hear your suggestions for things that might come second nature to your decision-making but are completely invisible to us men. Guys, I’d love to hear about the types of things that confuse you/freak you out/make you glad to be a man. 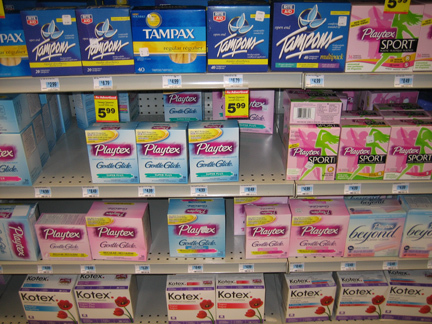 Any and all suggestions are welcome (for instance, one of my next posts is going to be about the logic behind the Kotex U line of feminine hygiene products and yes, I really am going there). Leave a comment, shoot your suggestions to albert@ciuksza.com or DM or @reply me at @AlbertCiuksza. I’d love to hear from you!